When December rolls around each year, I can practically smell the scent of gingerbread in the air. Somehow, across the ages, gingerbread men became known as a Christmas cookie. 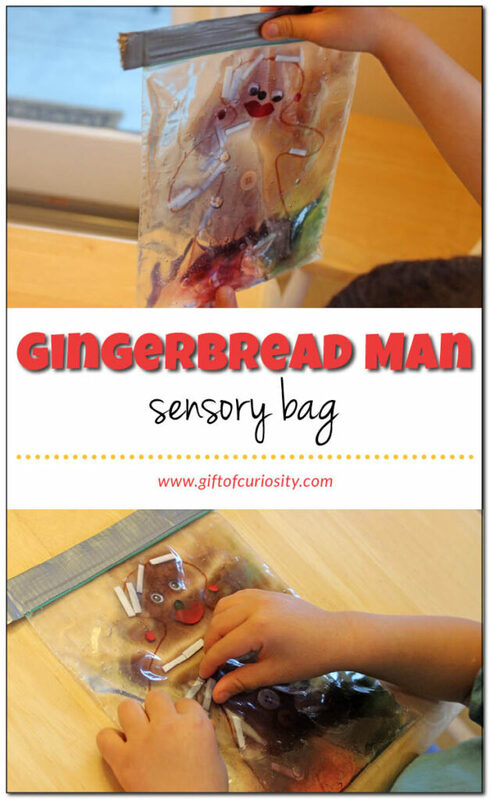 That’s why it was so fun to make these gingerbread man sensory bags for some Christmas sensory play. 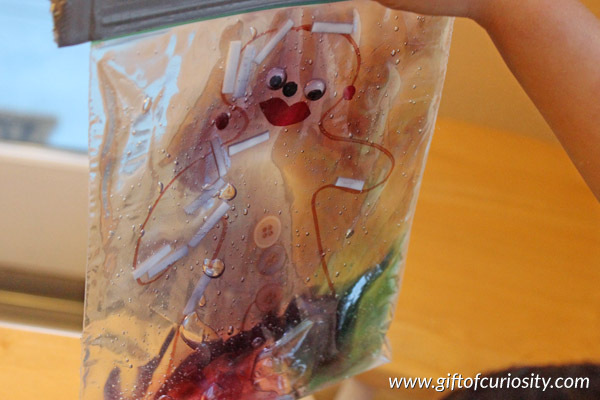 We have made sensory bags before, including some Christmas tree sensory bags two years ago. 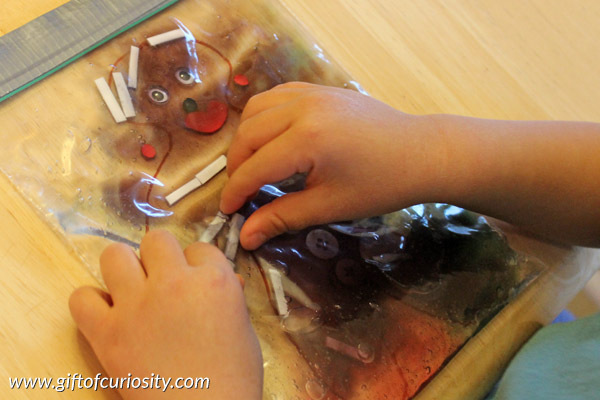 My kids always enjoy them, so they were very excited to make these gingerbread man sensory bags as well. 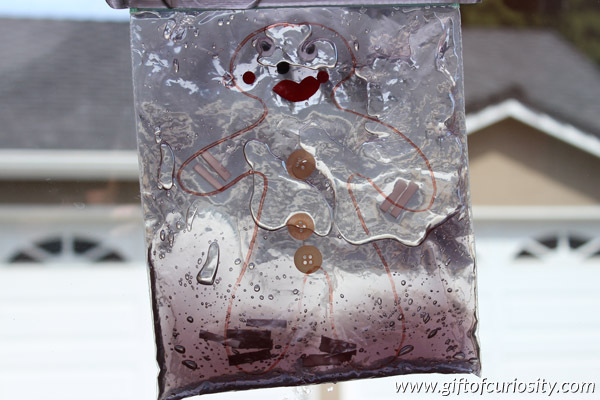 To make our gingerbread man sensory bags, I drew a gingerbread man outline on a quart sized, plastic ziplock bag. 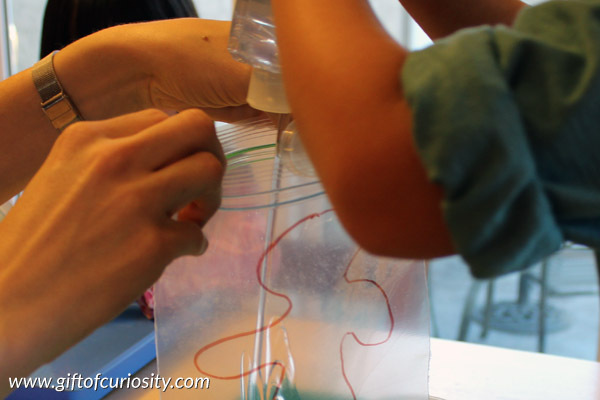 We then squired about 10-12 ounces of clear gel into the bag. For these bags, you really don’t want to overfill the bags. 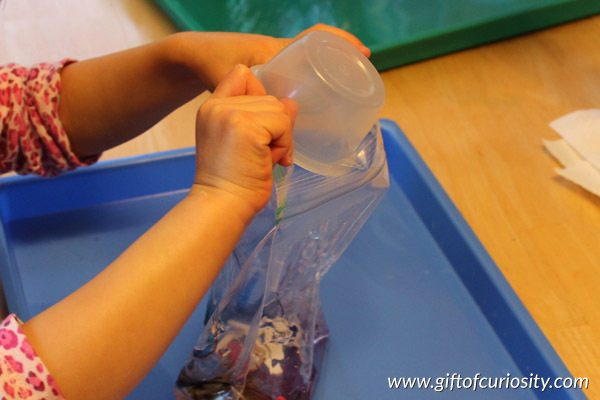 You want just enough to be able to move things around, but not enough to give the bag much extra bulk. After all the items were in the bag, we closed the bag and then sealed it with duct tape to prevent any accidental openings. 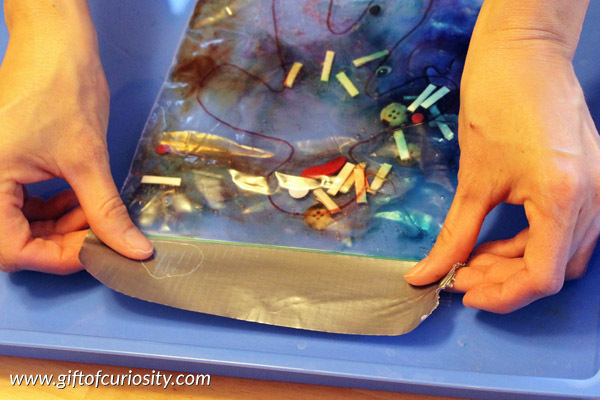 Once the bags were sealed, I gave my kids a chance to play with them. One of the first things my son said was, “This is like a puzzle!” as he attempted to move all the pieces to form a face for the gingerbread man. My daughter cracked me up when she said “I’m trying to make his face but it’s stubborn!” I guess her fine motor skills got quite a workout while playing with her gingerbread man sensory bag! 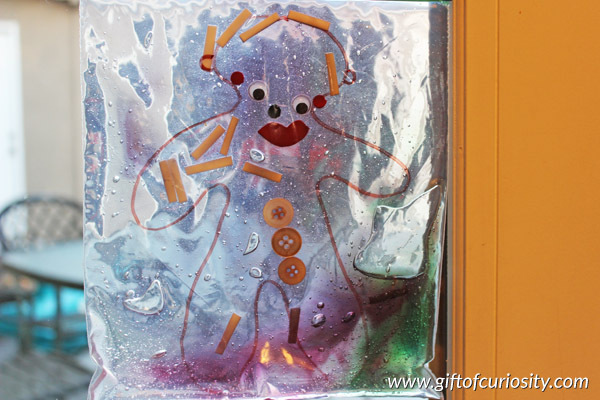 After the kids played with their bags for a while, creating their gingerbread men to their liking, we taped them to our back door so the kids could continue to play with them in the days to come. Sorry, I was referring to clear hair gel. The kind you can use to make your hair stiff.